I’ve been reading up on Social Identity Theory (SIT) as of late and on its use as a framework for reading the letters of Paul. 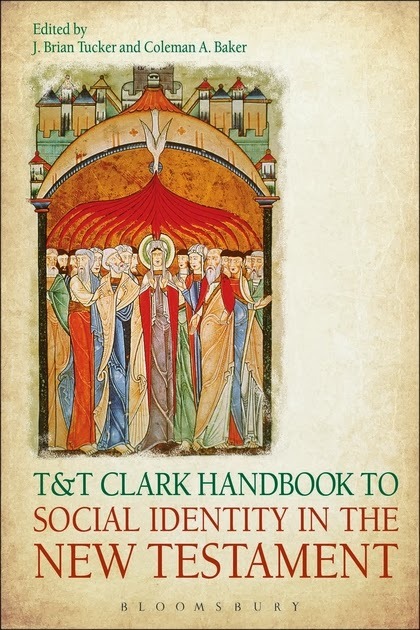 So, I was naturally very excited to learn about the new T&T Clark Handbook to Social Identity Theory in the New Testament (Kindle Edition) The book is edited by J. Brian Tucker and Coleman A. Baker, who bring together over two dozen scholars to explore the various ways SIT has been applied to the text of the New Testament. With 29 chapters and over 650 pages, this “handbook” has plenty to keep you busy. It will be essential reading for students and scholars who want to get a handle on the range of approaches in applying SIT to the New Testament. The book is divided into two major sections. The first deals with methodological issues and opens with a chapter introducing the reader to SIT and its usefulness in reading the New Testament. This is followed by chapters that discuss SIT as it relates to matters like social history, ethnicity, ritual, letter writing, and narrative, to mention a few. The second section moves from method to practice by presenting a number of case studies that apply SIT to individual texts. If you are like me and find it very helpful to see finished examples of how a method might be applied to a text, then you should find the chapters in section two immensely helpful. The studies take up representative passages and issues from most divisions of the New Testament including the Gospels, Paul, Hebrews, the General and Johannine letters, and Revelation. So, no matter what sub-discipline of New Testament studies you are interested in, there is likely something relevant to be found. As a critical method for reading the New Testament, SIT is here to stay. This volume is a guide to which interpreters will turn for years to come. I certainly expect to turn to it again and again.